Contrary to the Swedish massage, a Thai massage compresses and stretches your body rather than using strokes. 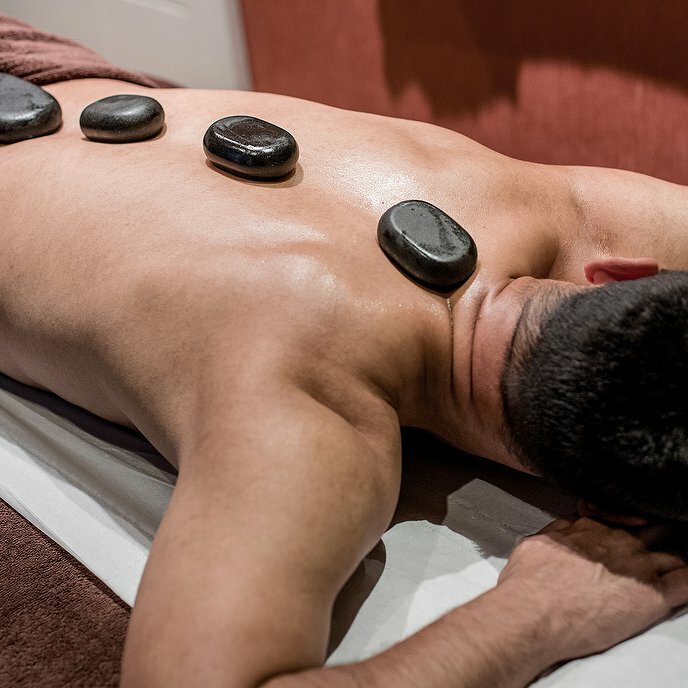 During your massage you will remain fully clothed and the massage therapist will apply pressure on various points, loosening your muscles and alleviating joints pain. It isn't called 'lazy yoga' for nothing! Thai (yoga) massage is a bodywork treatment which combines acupressure and yoga postures, which you’re assisted into whilst lying on a mat on the floor. The weight of the therapist’s body is used to provide deep rhythmic pressure to muscle tissue. And yes, you can be walked on, if you want to. ‘Nuat boran’ translates as ‘traditional massage’ and is an amalgamation of techniques from India, China and South East Asia based on the principles of Ayurveda. A session typically lasts two hours though the simplified style often found in the UK can be shorter with meditation and mantras curtailed or entirely missed out. No oils or lotions are used and you remain fully clothed whilst your limbs are stretched, compressed and rocked rather than rubbed as in Swedish massage. The approach is not unlike reflexology, with flow encouraged along ‘sen lines’ which correspond to tendons, ligaments, nerves, and blood vessels. Your only job is to relax whilst the practitioner does the work, keeping some form of contact with body constantly using both their hands and their feet. Your joints will be cracked by tugging on your fingers and toes firmly and quickly. Your limbs will be moved into different positions none of which require you to be particularly flexible and gravity is used to stretch the whole length of the back and main leg muscles. Once you’re done on one side you’ll be asked to turn over. Try not to snore if you fall asleep! It’s advisable to wear loose-fitting clothes so that you’re comfortable and there’s no restriction to movement. You might be offered the option to go down to your undies so that your body can be more directly worked on. Do say if you’re not comfortable. Western and Eastern customs do differ. If you’re feeling a bit prudish you could even try ‘Royal Style’ which was tailored for dignitaries. Here pressure is applied to the areas deemed appropriate to be touched by mere mortals based on strict codes of conduct. The approach is not unlike reflexology, with flow encouraged along ‘sen lines’ which correspond to tendons, ligaments, nerves, and blood vessels. All types of massage can soothe aching muscle, help you relax and improve mood. Thai-style in particular can provide temporary pain relief, increase circulation and provide a general sense of well-being. This ancient Buddhist treatment has been taught for centuries from the centre for Thai medicine and massage in Wat Pho. Just don’t make a joke about a ‘happy ending’ when you’re dealing with a qualified professional. Swedish massage is the most popular massage there is. It's a classic that will give you all the relaxation you need! 5 types of strokes make up the massage, the pressure can be as light or as firm as you like and it is perfect for unknotting your whole body and make (=>making) you feel as light as a feather!